A course to become a certified English and coding teacher, based on the UK Raspberry Pi Foundation’s contents. With this intensive course you will be introduced to subjects as: understanding programming, English coding teaching method, programming languages such as Scratch, Python and HTML. Anyone, English native speaker or not, can apply! Apply to reserve your spot! 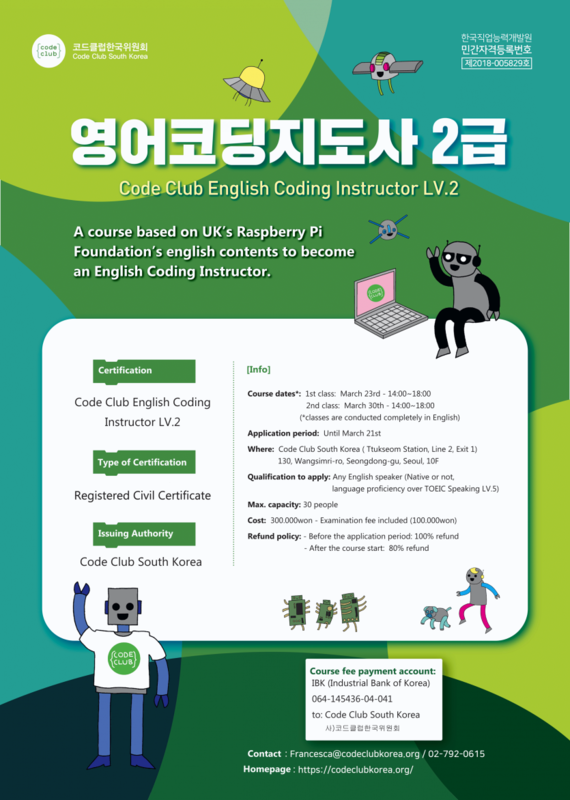 This is a certified course issued by Code Club South Korea and has been approved as a Korean Registered Civil Certificate. See you at Code Club!